Endosulfan is an insecticide used on a wide range of crops, including tea, tobacco, grains, cotton, fruits and vegetables. Due to concerns regarding the volatilty, persistence and mobility of the chemical, in 2010 the EPA began a phase out, with all uses being banned by the end of July 2016. Similar bans have been introduced worldwide. According to the World Health Organization, the primary source of human exposure is through food, but it can also arrive in drinking water as a result of agricultural run-off. Long term exposure has shown affects on the nervous system and kidneys, and it may be an endocrine disruptor. It is not believed to be carcinogenic. 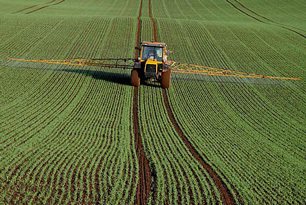 According to the EPA, endosulfan may be treated with activated carbon.